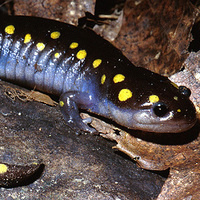 Learn about the scientific study of amphibians and reptiles! We'll become amateur herpetologists as we search for frogs, snakes, turtles, and salamanders. We'll study what these types of animals need in order to survive and how the characteristics of each group are similar and unique. Be prepared to be outdoors in wet and muddy conditions. Rubber boots are recommended. Registration is required. This program is for scouts and their families. We have two other amphibian related programs this month that are for visitors who are not associated with scouting, Frog Slog! and Family Night: Evening Amphibian Search. Is this solely for scouts?